Slice chicken breasts in half horizontally. (You want to have 4 thin chicken pieces.) Place chicken in a dish, pour the marinade over top, cover and refrigerate for at least 4 hours. In a small bowl, combine mayonnaise, lime juice, garlic and cilantro. Refrigerate until ready to use. Cut the French bread into sandwich size portions, then slice the French bread in half lengthwise. 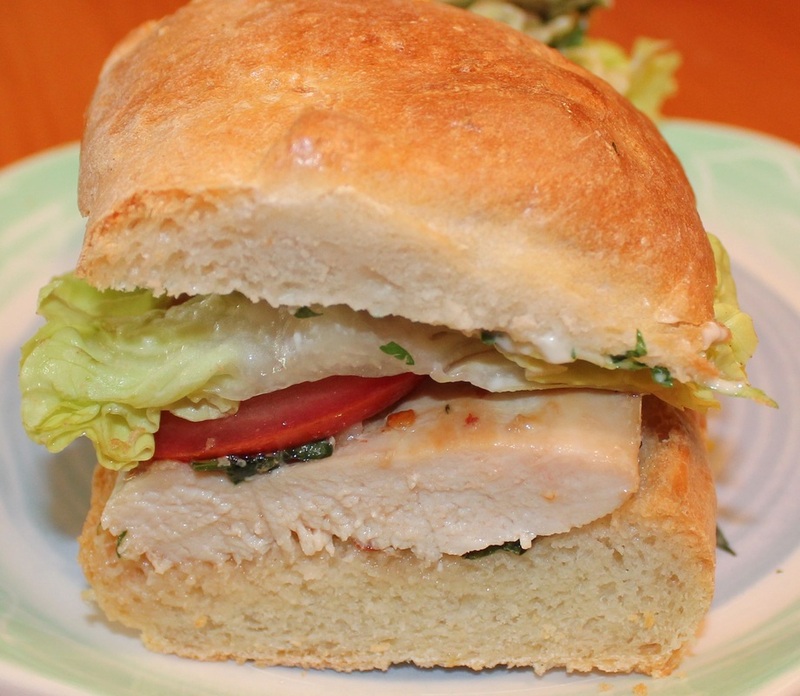 Place the chicken on one half of the bread. On the other half spread the mayonnaise, then layer the tomatoes and lettuce. Put the two halves together.